The Grand Opening of our new location was a huge success. Close to a hundred people came through the Gallery over the two day opening with the majority showing up for the Ribbon Cutting Ceremony performed by Springwater Mayor Bill French. Other dignitaries included Alex Nuttall representing Dr. Kellie Leitch (MP) and a representative for Jim Wilson, our MPP (didn't catch her name) as well as Katie Austin, Sandy McConkey & Jack Hanna, Councillors for Springwater. 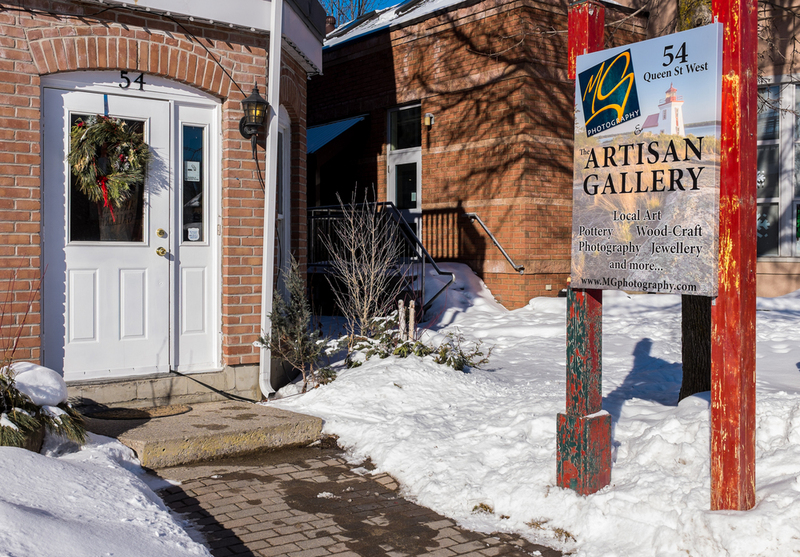 In addition to the celebration of our new location, we also officially opened The Artisan Gallery. The Gallery will feature not only my Fine Art Photography, but a collection of eclectic work by local artists. In attendance at the Opening were Rose Cook (painting), Elizabeth Malouin & Carol Howe (jewellery), Lisa Harpell (sculpture), Ken Fulford (stained-glass) and Doug Symes (carved boxes and tables). Absent were Antje Gagné (pottery) and Nick Van Bakel (woodturning). Hours are By Chance or Appointment, but typically Tuesday through Friday, 9:00am to 4:30pm, and Saturdays 9:00am to 2:00pm. Please call ahead if you're making a special trip though as I often get called out on location photo-shoots. We're hoping to provide more regular hours once the warmer weather comes back. Follow the Facebook or Twitter to stay informed. Thank you to all our clients, both my own as well as my fellow artists at the Gallery for braving the cold to attend our Opening. Our businesses are sustained and honoured by your patronage and referrals to friends and family. And a special thanks to my good friend Celso Mollo for photographing the event for me.